JERUSALEM, April 9 (Xinhua) -- Israel on Tuesday morning started day-long general elections across the country to choose its next parliament and decide the premiership. 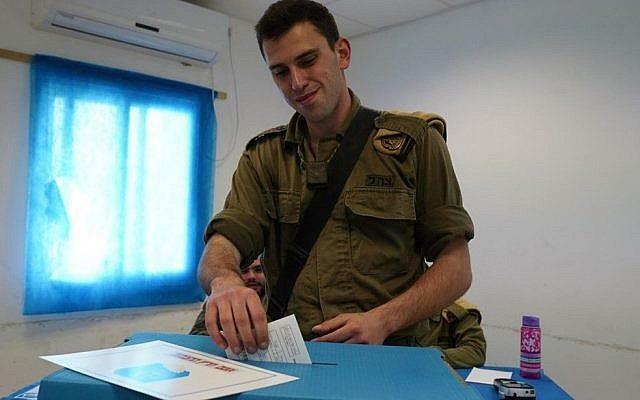 Voting started at 7 a.m. local time (0400 GMT) at 10,720 polling stations across the country and is due to end at 10 p.m. (1900 GMT) in the closely-fought elections mainly between long-serving Prime Minister Benjamin Netanyahu's Likud party and ex-army chief Benny Gantz's newly formed party. According to Israel's Central Election Committee, about 6.34 million Israeli citizens are eligible to vote. More than 40 parties are vying for the 120 seats in the one-chamber Knesset (parliament). Recent opinion polls show a tight race between Gantz's centrist Blue and White with about 30 seats and Netanyahu's rightwing Likud with some 28 seats. Adam Cohen, 43, told Xinhua on Tuesday morning at a polling station in Tel Aviv that he had voted for the Blue and White. He said that for him, the most important thing was to replace Netanyahu because of a series of corruption cases that he has been entangled with. In February, Israel's attorney general said he intended to indict Netanyahu in three separate cases of bribery, fraud, and breach of trust. He said he hoped the new leadership could bring peace and welfare to Israel.